This is my third big skinny wallet, told my sons to buy them also. Once they try mine they will buy them also. 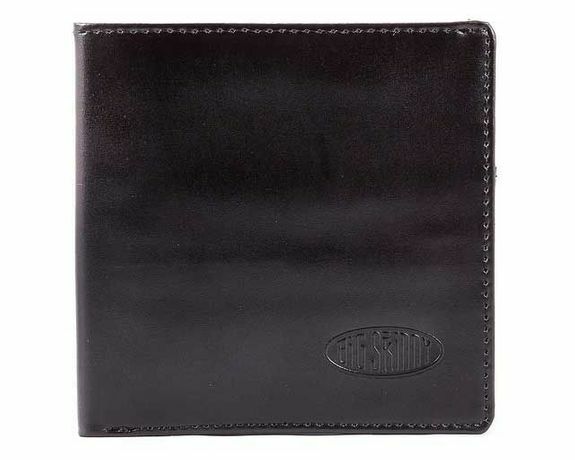 I bought this to replace the Leather Hybrid World Bi-Fold Wallet I purchased over 10 years ago. I still have the older wallet (a bit worn, but in good shape! ), but I thought it was time for a newer one and I wanted the brown color. 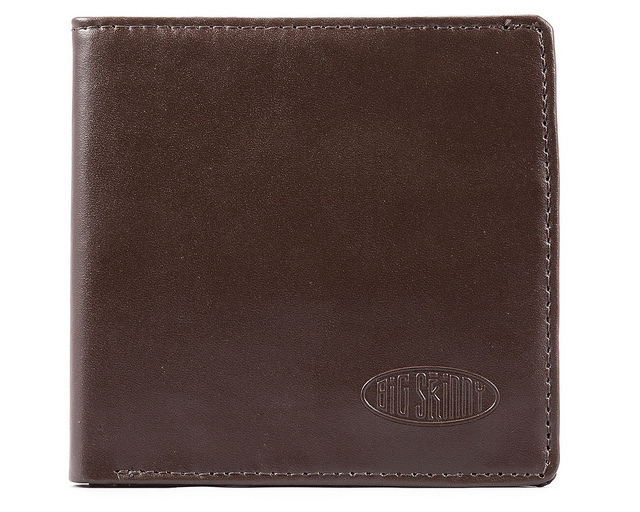 The best wallet you can buy! 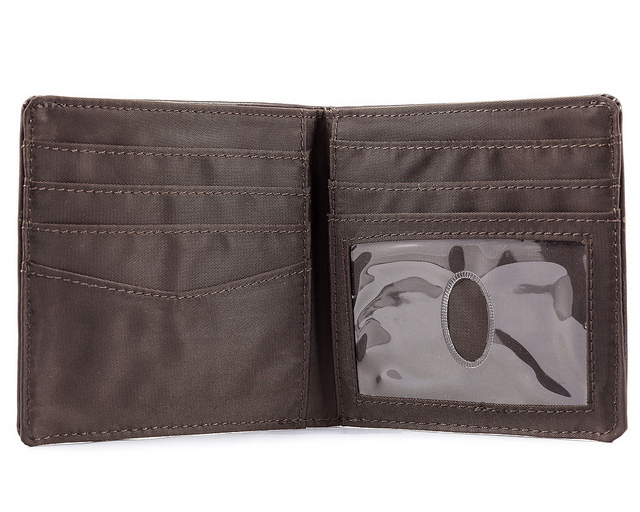 Holds everything you need in a thin, comfortable size. Highly recommended! ProsIncredibly well designed. 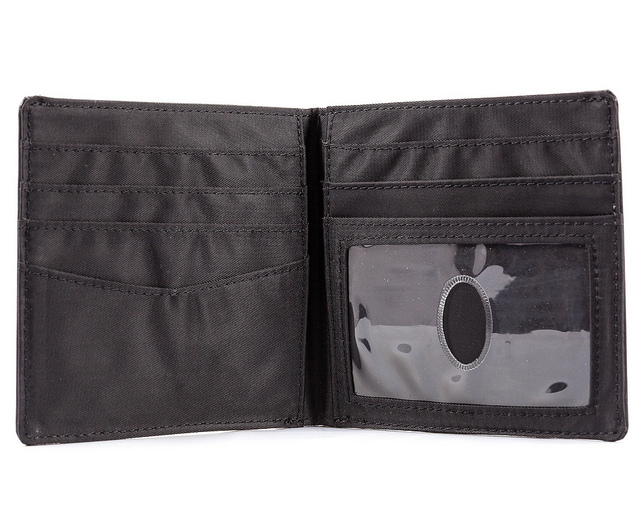 I sit in an office most of the day, and this wallet is so comfortable in one's back pocket. Great product!!! ConsNone! Need a wallet? Get this! 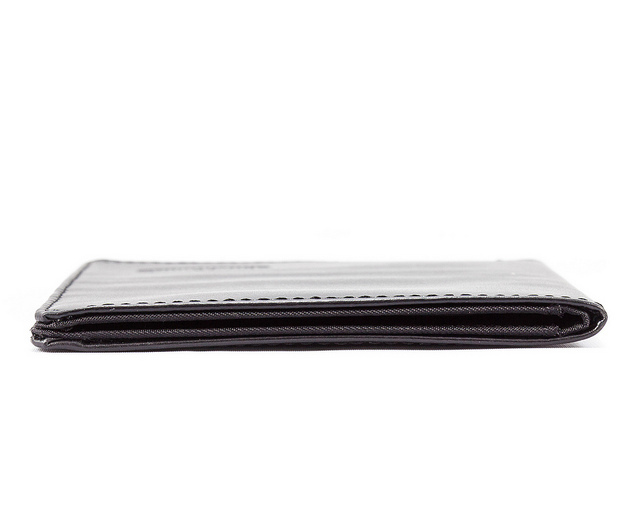 A very thin and useful wallet & a great line of wallets to choose from! 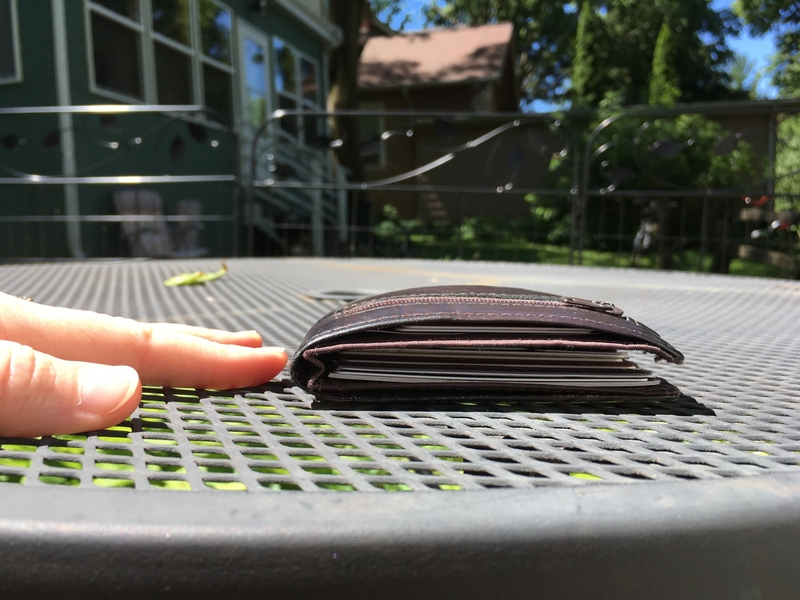 I had recently purchased another Big Skinny wallet to replace my older Big Skinny one that had finally gotten a bit long in the tooth after many years of good service. Soon thereafter, however, my beautiful wallet was picket in Vienna, Austria - despite having it in my front pocket, and despite reasonable vigilance about guarding my wallet and other important items. 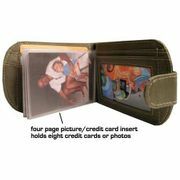 Fortunately, I had photos of almost all of my wallet contents so I was able to handle the theft problem fairly quickly. But now - I needed another wallet! 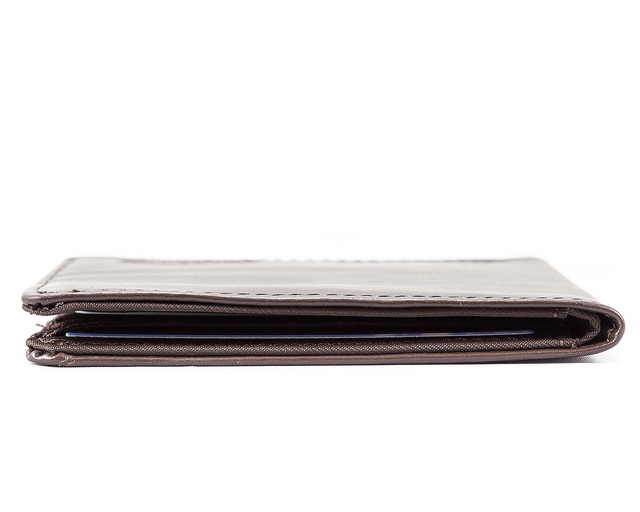 This time I opted for the same "leather hybrid bi-fold" wallet, but I chose the larger format World option. I think the larger format will reduce the likelihood of theft: it's harder to pull out of my pocket. 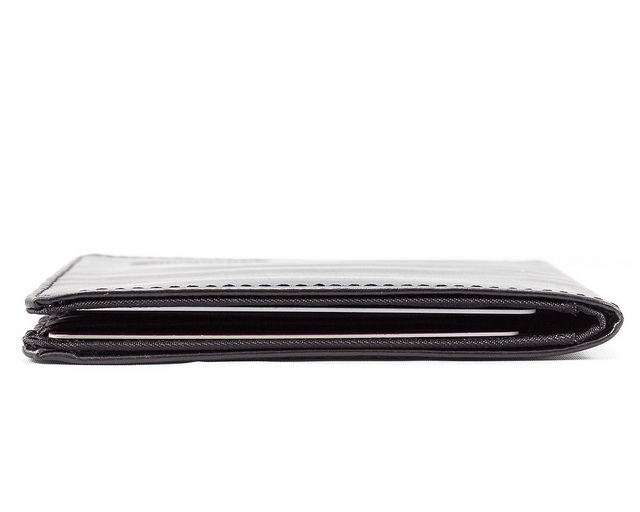 Further, I am henceforth keeping my wallet in zippered pockets. I've seen videos of expert pick pockets at work, and they're amazingly skilled. If I'm identified as "mark" by one of these experts, I'm probably going to lose another wallet - and possibly my watch, etc. So my main goal is to avoid being "low-hanging fruit". ProsThe new hybrid leather - very attractive, and it looks like it'll hold up over time. I've had this for 8 yrs, and I use it every day. It has held up incredibly well. It looks almost as good as new except one bottom corner is smushed, probably from when I sit a bit sideways in my chair. Zipper still works perfectly, a couple of stitches just opposite the ID window are abraded away (not structurally important stitches though), and the leather is a bit wrinklier over the coin area. I don't have calipers but it's roughly 3/4" thick in the center (and tapers down on the sides) when full. I'm a slim woman who hates purses and wants to keep my valuables on my person. I am also a mom, so I get to carry ALL the cards: kids gift cards, kids insurance cards, library card, in addition to my own cards. I love that there is room for bills (what do the minimalists do after they use the ATM or get change for that $20?) and room for and coins and misc. (I try to keep coins to a minimum but when I need a quarter for a locker at the pool or earplugs in a noisy bar, it's there in my back pocket.). The only downside is that, when I need to wear dress pants or a skirt, it's a super tight fit. (The women's fashion industry is notorious for making fake pockets and teeny pockets.) I have sewn deeper pockets into several pairs of dress pants, but I can't make the opening any wider so it is sometimes a bit tight. The wallet does fit most of my jeans--mainly because I check that the wallet and phone fit when I try them on--but wouldn't fit in the micro pockets on many styles of women's skinny jeans. ConsA smidgen too wide and tall for a lot of my pockets. 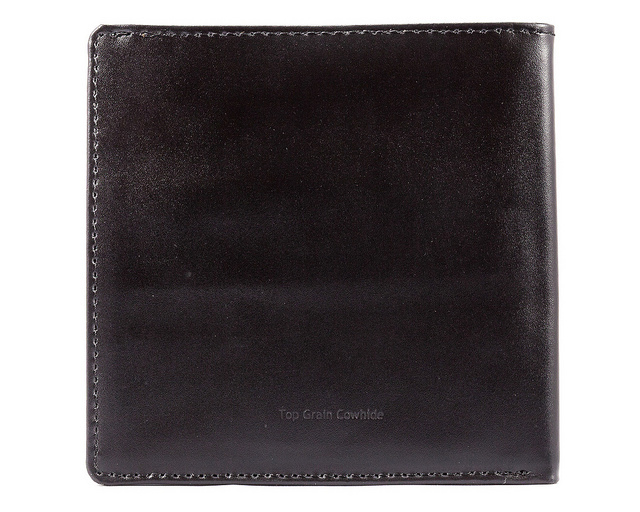 This bi-fold wallet is the most comfortable wallet allowing the ability to carry credit cards and cash without cramming them into competing areas. Works well but I don't like logos on my wallet. Good Alt but bad fit, I know these are new and it's hard to find a broken in one. But the slot are very tight,even tried it with one major card and was hard to get Out! And even the bill slot was tight which I guess isn't a bad thing, but when your old fingures don't work like they used to, it just wasn't a good fit for me. New wallet bought for my husband was exactly right. He can fit all he wants in there and the wallet still does not get fat and bulge. 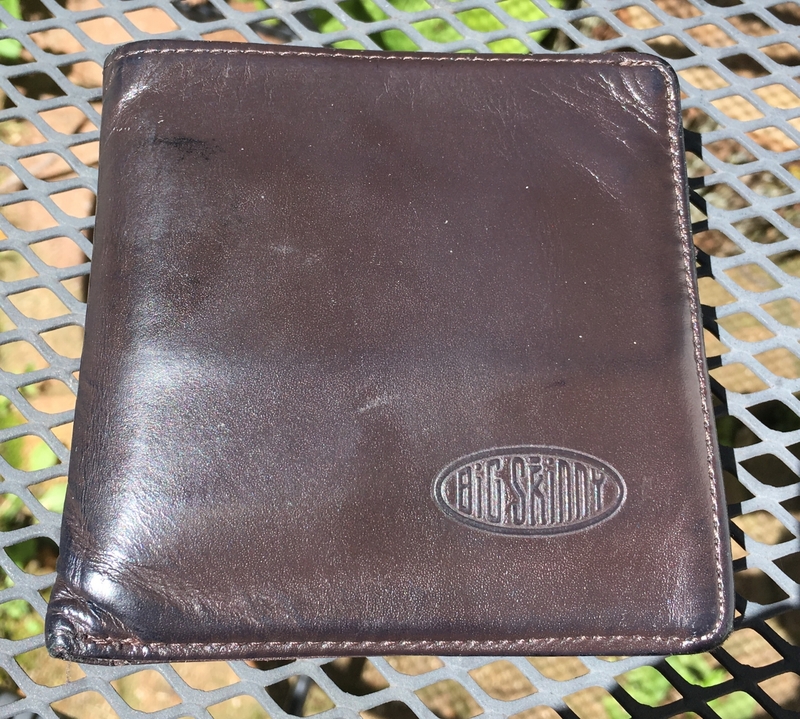 I bought this wallet 5 years ago, and then it was stolen. I went back and bought the exact same one again, because I was just 100% happy with it. It really is thin, but that doesn't diminish the durability! After 5 years of constant use, there were no defects and the wallet still looked 'like new' inside and out. Of course the new one was totally crisp whereas the old leather had gotten softer with use, but I liked the way it looked and that's the way it was supposed to be. I carry plenty of cards, sometimes wondering if I'm abusing the wallet if I have 4 cards in each pocket. But apparently it holds up fine! 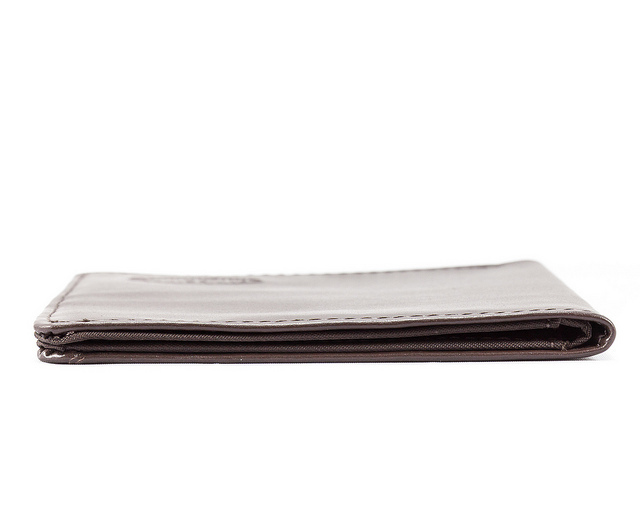 For this specific wallet, the relatively high shape makes it easy to store (euro) notes and receipts and whatever else you may need to carry (printed A4 sheets if folded a few times) without crumpling the end that would otherwise stick out. What I like most about this one is that the height gives you 4 positions for an RFID card: left or right and top/back or bottom/front. When you have a number of RFID cards, sometimes they interfere if you stack them and the system won't recognize the card. By putting them further apart, this is solved. 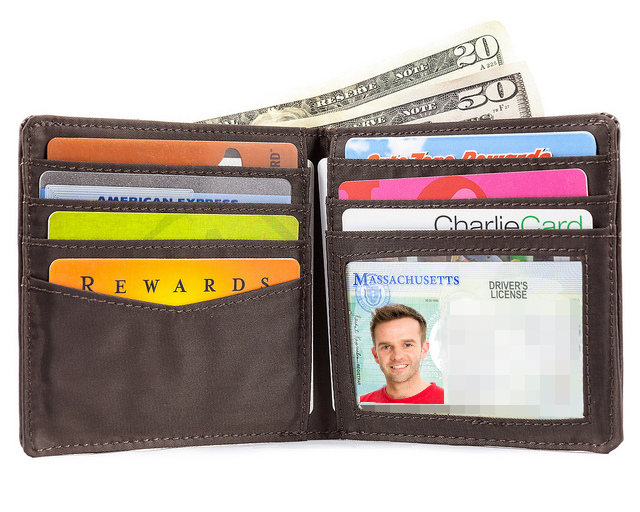 I can keep all those cards in this wallet and just tap the appropriate side of the wallet to the reader. 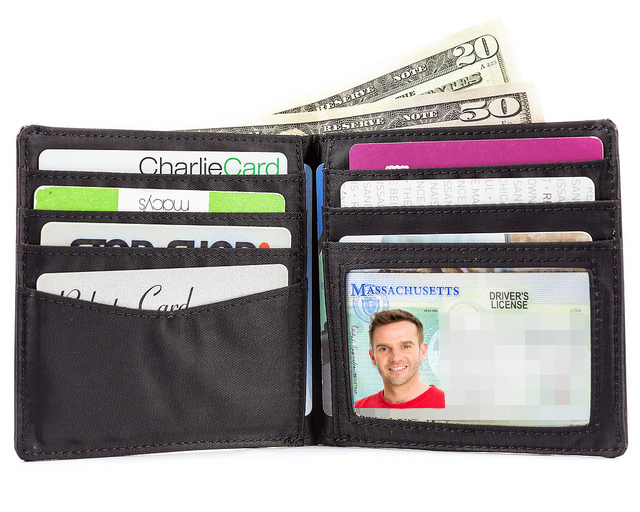 If you have more than 4 RFID cards all from picky systems, and you don't want to take them out, then I suggest getting a version of the wallet that folds 3x or something, to give you 5 or 6 separate positions for them. ProsExpect it to last at the very least 10 years. I don't see it failing at all. Very nice materials. Carries multiple RFID cards well enough apart. Compact and very thin. Looks totally classy. Works perfectly with euro notes. Ships to NL in less than a week! ConsIf you have over 4 picky RFID cards then you might have to take them out to read them until RFID systems become more robust.